Known as the “Spring Break Capital of the World,” Panama City Beach, Florida isn’t just for college kids any more. 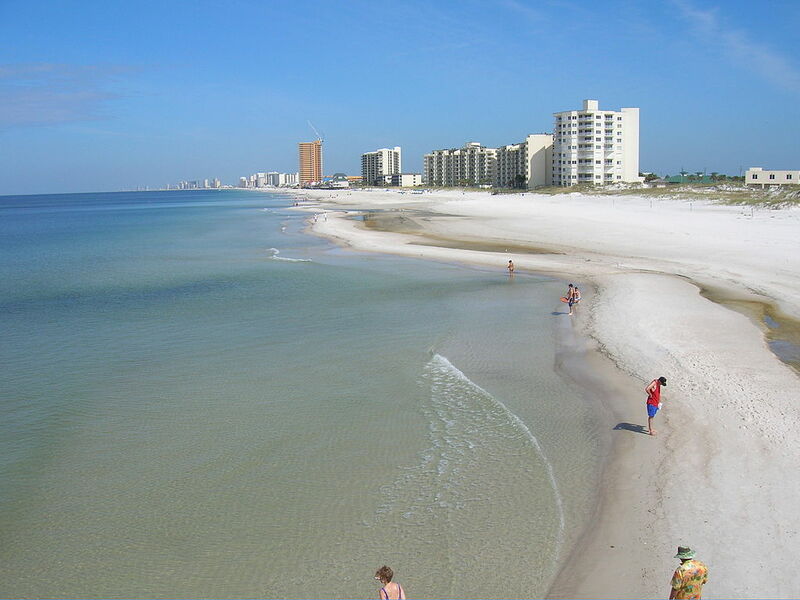 Located on the northern Gulf Coast, PCB is home to about 27 miles of powdery-white sand beaches. The warm Floridan sun and brilliant green waters make Panama City Beach one of Florida’s top beach destinations for groups of all ages. Even though it’s known as a Spring Break destination, the frat party atmosphere only lasts a few weeks. The rest of the year, PCB is a great place to take the whole family. Here are 6 Panama City Beach attractions you shouldn’t miss on your next visit to the Emerald Coast! If you’re in the mood to party, this is the place. Billed as the largest nightclub in America, Club La Vella is the perfect venue for hard partying college kids to let their hair down and have some fun. Situated right on the beach, this club has 8 different themed rooms, making it easy to bounce around to “different” clubs without ever having to leave the premises. If you’re in Panama City Beach for Spring Break, this is definitely one place you can’t miss. Claiming to be the “Last Local Beach Club,” Schooners is a great place to eat and play. The restaurant serves up simple yet delicious beach bar food while live bands entertain you throughout the evening. Schooners also hosts a number of activities throughout the year, including a Cajun Festival, Lobster Festival, sand castle competitions, holiday parties, and much more. And, if you happen to be there at sunset, you’ll get to see a giant pirate ship pull up in front of the restaurant and fire its cannons. It’s a blast, literally and figuratively. Check it out when you get the chance. For those looking to have some family fun, check out the Ripley’s Believe it or Not! Odditorium. If you do any driving through PCB, you can’t miss this building. (It’s shaped like the aft end of a giant ship’s hull!) Filled with dozens of interactive exhibits, this “museum” is full of all kinds of interesting stuff – like shrunken heads, interesting skeletons, and a mirror maze. Sure it’s a campy tourist trap, but it is a barrel of fun on a rainy day. One of my favorite Panama City Beach attractions is Blue Dolphin Tours. For just $49 per person or $249 for a party of 6, you’ll get the chance to swim with wild dolphins! Snorkel gear and life vests are included. Additionally, you can head out to Shell Island to search for shells and sand dollars. We’ve taken our kids on the tour, and I can vouch that it is a lot of fun. Located right off the beach, Pier Park is a great place for those who love to shop. This outdoor mall is home to about 130 retail shops and restaurants, including stores like Ron Jon Surf Shop, Victoria’s Secret, Aeropostale, and more. Also connected to the mall is Pier Park Amusements, a pay as you go amusement park complete with a roller coaster and 50-foot Euro slide. Right across the street, you can enjoy a walk down one of PCB’s longest piers. 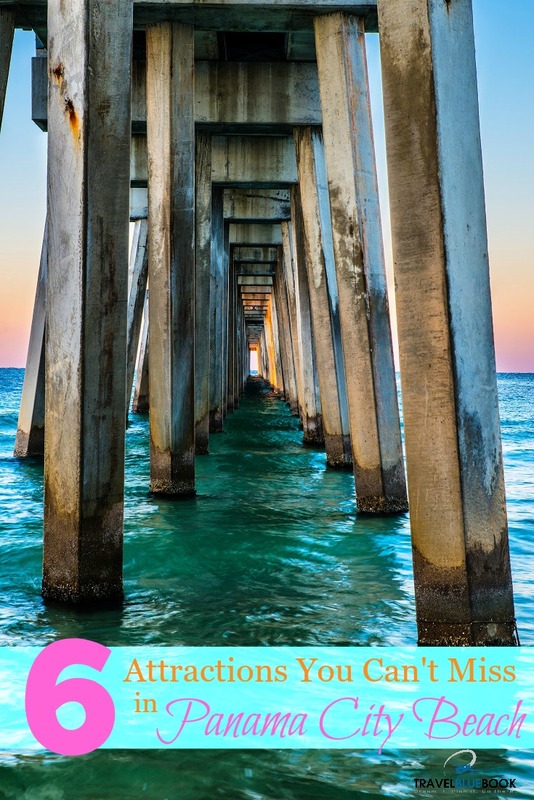 The best of the Panama City Beach attractions is…well…the beach itself! After all, this is why you came all the way to PCB in the first place! Panama City Beach claims to have the most beautiful beaches in the world, and as far as the beach itself goes, it’s hard to argue. In my opinion, the area’s 27-miles of sugary white sand is as good as it gets. Pull up a beach chair and cover your toes with the powdery good stuff. Once you’ve wrapped up your day in the sun, grab a bite to eat at Firefly or Saltwater Grill, two of my favorite local eats. Enjoy yourself! That’s why you’re here.